One question we get asked all the time is “But what do you eat for breakfast?” It seems that some people can’t imagine what on earth we’d eat if it’s not boxed cereal or slices of toast. Well! We’ll have you know that we have a long list of paleo brekkies. We’ve been mixing them up a lot lately (instead of sticking with certain things, becoming completely obsessed and then getting sick of them)… from left over dinner (who said you can’t eat curry for breakfast?! ), to smoothies, to eggs, to giant cacao pancakes (check Instagram for this mama) and our new fave: paleo superfood coconut porridge! It’s like a giant bowl of nourishing goodness and we just feel super amazing after we eat it. With goji berries, cacao nibs, hemp seeds, coconut and walnuts this porridge will give your body energy and loads of brain power. 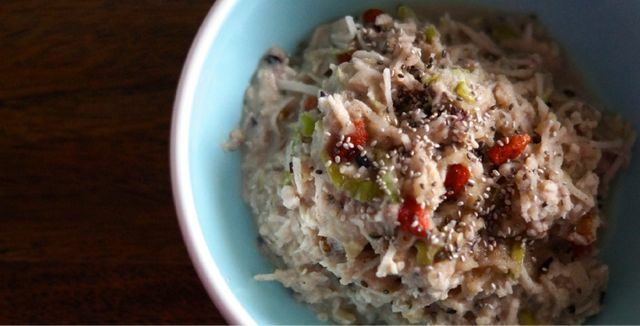 Plus, it’s getting cold (boo) so this porridge is the perfect tummy warmer! YUM! 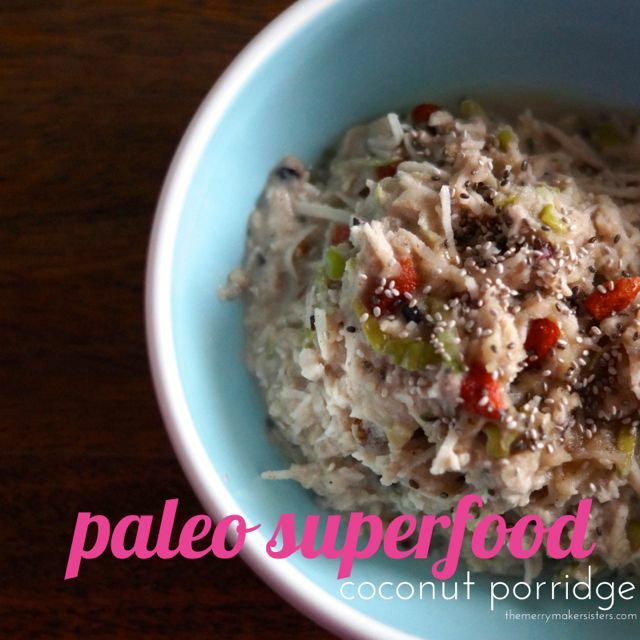 Change it up with what ever superfoods you have in your cupboard! Experimenting is half the fun! Serve with chia seeds and raw honey if you need some extra sweetness! Get your all coconut ingredients here!